18-karat yellow gold with polished finish. 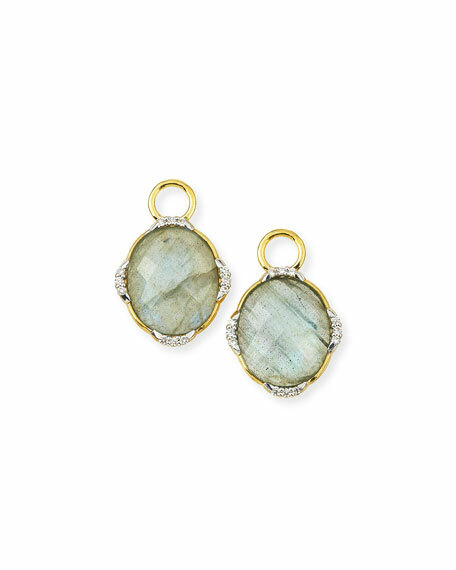 Faceted oval labradorite and sky blue topaz doublets. 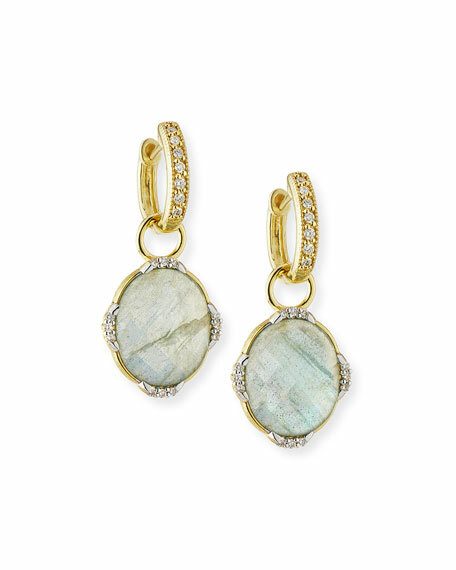 Pavé round white diamond accents.